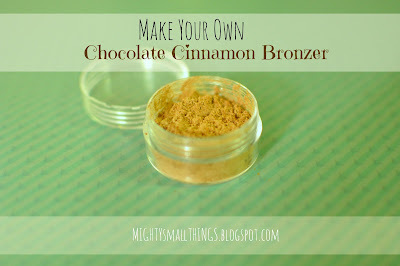 For week 3 of my Small & Simple Make-over Challenge, I've decided to swap out one of my most used make-up items: bronzer. I don't use foundation, so bronzer is all I use for color. 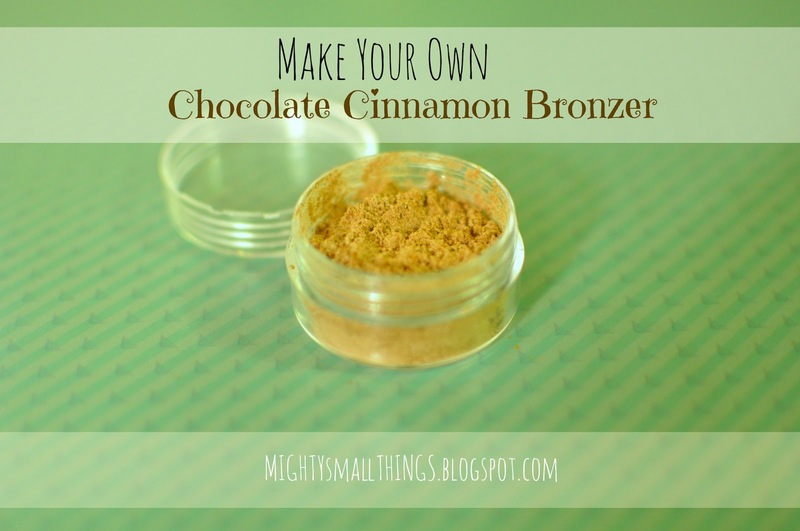 I was happy to find that bronzer is one of the easiest cosmetics to make on your own. I found the base for this recipe over at one of my favorite resources, Wellness Mama. Not only does it work wonderfully, but it smells delicious! I was worried about how it would feel on, but it goes on very well. If you already have a moisturized face, it works even better. Start with small amounts and blend to make your perfect shade. Hibiscus flower adds more pink, cocoa powder adds a deep brown and cinnamon is a nice neutral brown.